Richael O’Driscoll graduated from University College Cork with a B.C.L Honours Degree in 2001 and obtained the Barrister at Law Honours Degree in June 2003. 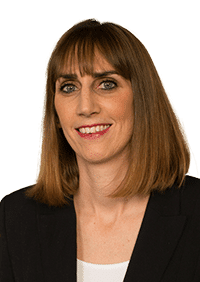 She subsequently obtained a Diploma in Insolvency and Corporate Restructuring from the Law Society of Ireland in March 2010 and achieved CEDR Mediator Accreditation in November 2010. Richael practiced at the Bar in Cork and Dublin for five years, from 2005 to 2010. She also worked as a Family Law Reporter for the Department of Justice Equality and Law Reform from 2007 to 2009 and lectured in Legal Studies with the VEC and lectured in Disability and the Law in the Centre for Adult and Continuing Education in University College Cork. She joined the firm in 2010 and works principally in Litigation with a special interest in personal injury and medical negligence law.